If you're looking to show your school spirit, this university of Southern Mississippi Wristlet is perfect for any golden eagle football game, tailgater, or sporting event this season. Stand with the golden eagle with this university of Southern Mississippi Wristlet and show your Southern miss pride! showcase your golden eagle spirit and style while beating out the competition with this Wristlet. 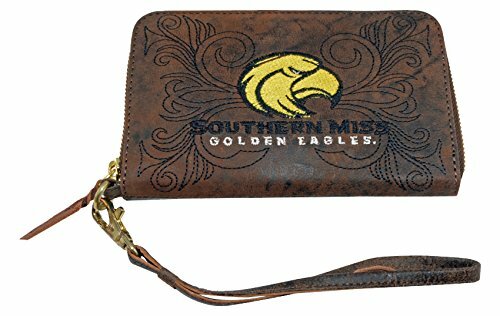 At any university of Southern Mississippi event you can look good and feel great with this Southern miss Wristlet (style number #USM-WR080-1). If you have any questions about this product by Gameday Boots, contact us by completing and submitting the form below. If you are looking for a specif part number, please include it with your message.